Spam Check Feature - Benchmark Email. Our Spam Check feature scans your email for content that can be filtered as spam. 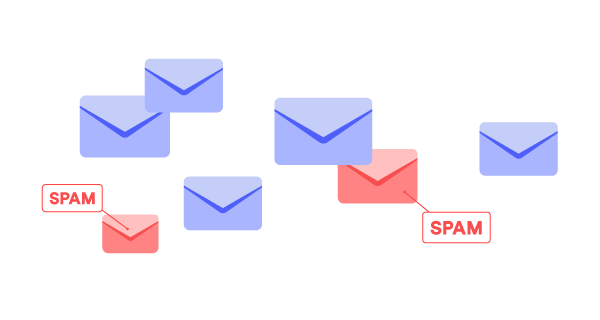 The feature rates your email on a scale from 0 to 8 and the higher the score, the likelier your email will be filtered as spam and will either land in the spam folder or be quarantined. By using the Spam Check, we can gauge the deliverability of your email, and also address any issues that can diminish your deliverability. Our Spam checker is powered by SpamAssassin one of the most commonly used spam filtering programs. To use the Spam Check feature, see instructions below. Click on an existing email or choose to Create New Email. If you chose to create a new email, you’d need to complete your Email Details, List Selection and create the content of your email in the Editor step. In the Editor, click Test and select Spam Check. A popup window will appear with the score of your email. Important: Since the Spam Check feature is not maintained by Benchmark Email we have no control of the scoring. In some cases, a score of 0.6 Illegal Color Code is given. Though it sounds scary, this score is outdated and can be ignored. Click here to learn more on how to reduce Spam Complaints. If you have any questions regarding the Spam Check feature, please feel free to contact our support team via Email, LiveChat or phone.